The Yerkes Research Center employs an Animal Care staff that provides 24-hour care to the animals. These staff members include clinical veterinarians, veterinary technicians, a research nurse and animal care technicians. Since 1985, the Yerkes Research Center has been fully accredited by the Association for Assessment and Accreditation of Laboratory Animal Care International (AAALAC); this certification is regarded as the gold seal of approval for laboratory animal care. The Behavioral Management staff has also initiated a positive reinforcement animal training program to help facilitate animal care, research and veterinary procedures. 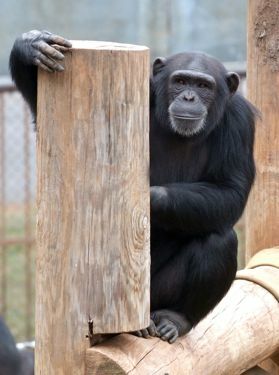 Several behavioral management techniques are used concurrently for each primate; these techniques are specific to each animal based on the species, age and requirements of the research project. Animal Care and Behavioral Management personnel implement daily enrichment and training. The program is dynamic, permitting modification of techniques in accordance with in-house assessments and findings from scientific literature. The rhesus macaque is the Yerkes Research Center's most common nonhuman primate and the most common monkey used in biomedical research due to its ability to adapt to almost any environment. This serves research programs well because such adaptable animals provide the most reliable research results. 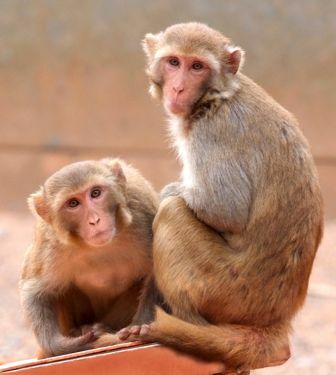 Rhesus macaques make valuable contributions to Yerkes' AIDS vaccine research program as well as research programs involving aging, reproductive biology,biological basis of social behavior, behavioral effects of hormone replacement therapy, biological consequences of differences in maternal care, malaria and organ transplantation. 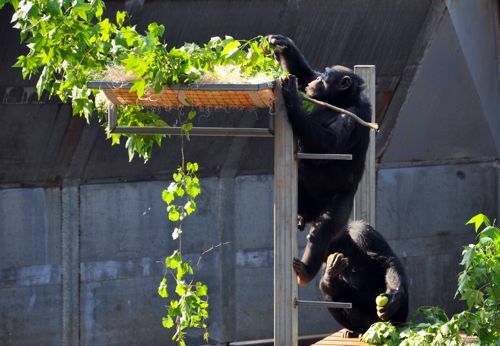 Chimpanzees are important for behavioral and biomedical research. That their DNA is 98 percent similar to humans is important, but the 2 percent difference is critical to determining what makes humans unique. Chimpanzees make valuable contributions to research involving aging, brain imaging, genetic and cognitive studies, human nature, social intelligence and evolution. Squirrel monkeys, often seen traveling close behind a social group of capuchins, are found in South America and travel and forage almost exclusively on tree branches. Squirrel monkeys are used at the Yerkes Research Center in vaccine and behavioral neuroscience studies, specifically research on cocaine addiction and malaria. 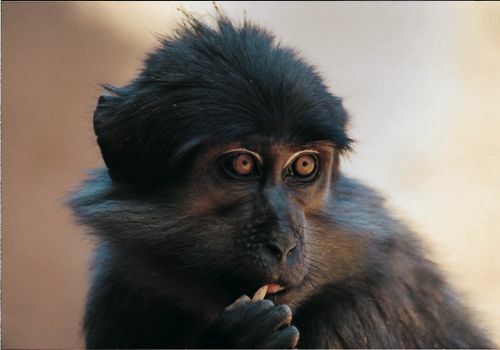 Used in memory and neuroscience research at the Yerkes Research Center, the cynomolgus monkey sometimes is called a crab-eating macaque and has been used extensively in biomedical research. The Yerkes vivarium is home to 16,000 rodents, including mice, rats and voles, which are often the first animal models used in research programs. Rodents are involved in a number of studies, including those on addiction, autism spectrum disorders, behavior, fear and anxiety related disorders, transplant medicine and vaccines.